Causes of knee pain range from sprains, strains and dislocations to meniscus tears and stress fractures. Tendonitis, bursitis, arthritis, nerve entrapment and inflammation of the meniscus discs also produce knee pain. 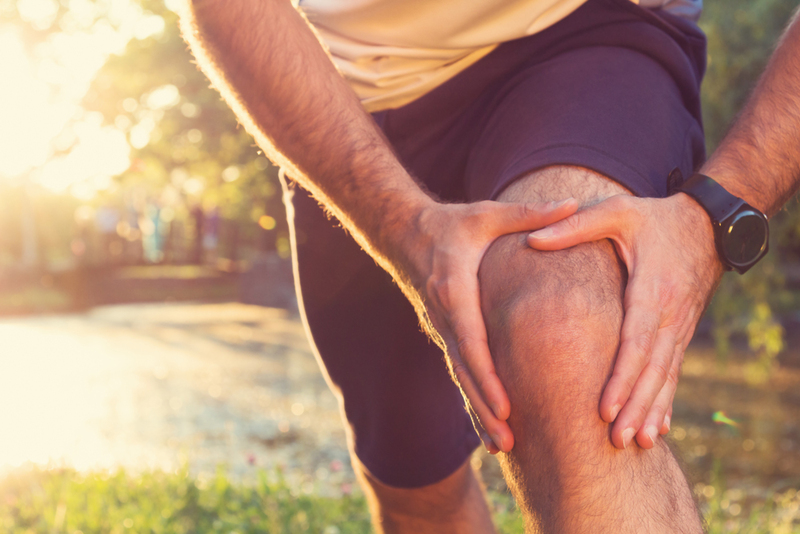 To diagnose knee pain, your Rockefeller chiropractor in New York will ask for your medical history, lifestyle description, exact location of pain and stiffness and how long you have suffered knee pain. Diagnostic tests may be ordered as well, such as x-rays, MRIs and blood test if your chiropractor suspects arthritis or gout. Iliotibial band syndrome is usually caused by overuse or repetitive bending of the knees. ITB pain tends to worsen when running and may be accompanied by knee popping. Resulting from inflammation of the iliotibial tendon, ITB syndrome commonly affects runners or people with abnormal gaits. Treatment for IBS involves joint manipulation, stretching/strengthening/range of motion exercises as directed by your Midtown doctor. Acupuncture is also helpful for relieving ITB syndrome pain. Patella femoral syndrome causes pain on the kneecap or pain behind the knee. When the underside of the kneecap is irritated by grinding against the knee joint, PFS pain, stiffness, swelling and weakness emerges rapidly. Cartilage degeneration due to wear and tear, arthritis, repeated injuries or other medical condition is attributed to the development of patella femoral syndrome. An ACL injury is a tear to the ACL ligament, one of four ligaments stabilizing the knees. The ACL ligament is frequently injured from improperly running or severely twisting the knee. ACL tears are occasionally seen with other injuries such as meniscus tears or medial collateral ligament injuries. Hearing a popping noise at the time of injury, followed by pain, swelling and weakness, are signs of a possible ACL injury. Your Rockefeller chiropractor recommends physical therapy and chiropractic care with joint manipulation techniques and range of motion/strengthening exercises to treat ACL injuries. The posterior cruciate ligament holds bones together within the knee joint. PCL injuries occur if the knee is bent while suffering a strong impact with a hard surface. Symptoms of a PCL injury include swelling, pain, knee instability and stiffness. Treatment for PCL injuries is the same as treatment for ACL injuries. Located between the tibia and femur, meniscal discs are tiny "cushions" composed of connective tissue designed to stabilize and protect knee joints. If you tear one or more menisci, you may hear a popping noise coming from your knee, followed by pain, swelling and difficulty straightening your knee. Diagnosing a meniscal tear involves a physical examination of the knee and diagnostic testing to determine if menisci are torn. Balance Health Medical Center is New York's premier facility for treating knee, back, ankle, foot and neck pain. Call today at (212)-755-1717 to schedule an appointment with your Upper East Side chiropractor for holistic pain relief.